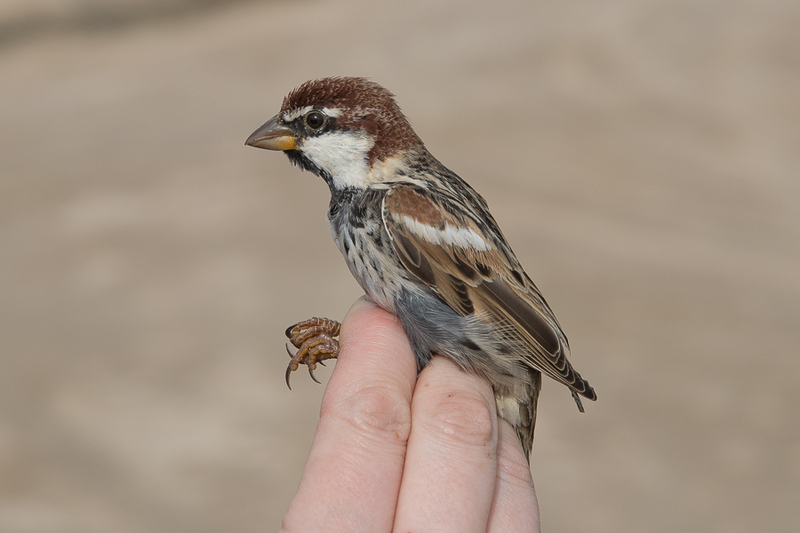 Whilst ringing at Sabkhat Al Fasl on 23 February we trapped and ringed two male and several female Spanish Sparrow. This is only the second time we have ringed the species at the location. 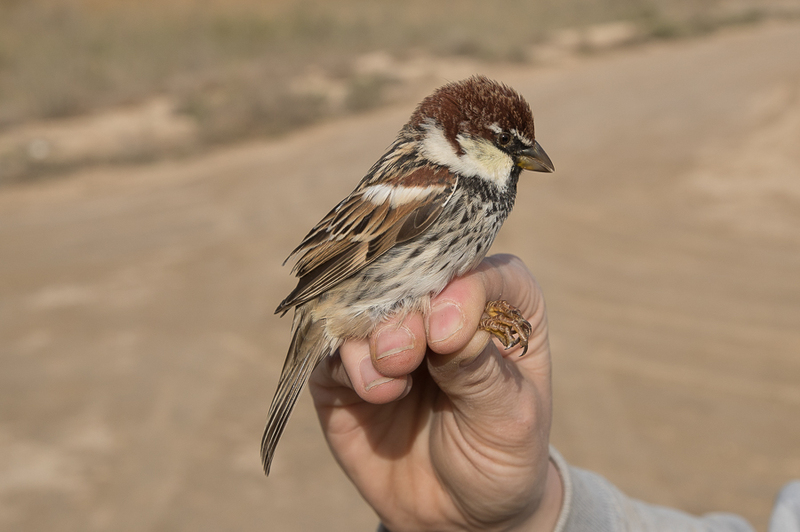 Spanish Sparrow has recently (the last five years) started occurring at Sabkhat Al Fasl in the winter with at least two groups regularly seen now. They are not so common in the area where I live but occur much more frequently in the northern areas of the province as well as elsewhere in the north and west.